Partly because it has been a while since the last one but more because this week I have had a definite case of writers block and a competition is a fun (and easy) way for me to get an email out. Since I have had this particular competition idea fermenting in my head for a while it seems like it has all come together. So here it is: The Great Beer Tasting Notes True or False Game. The competition is simple; below are tasting notes for four different beers. 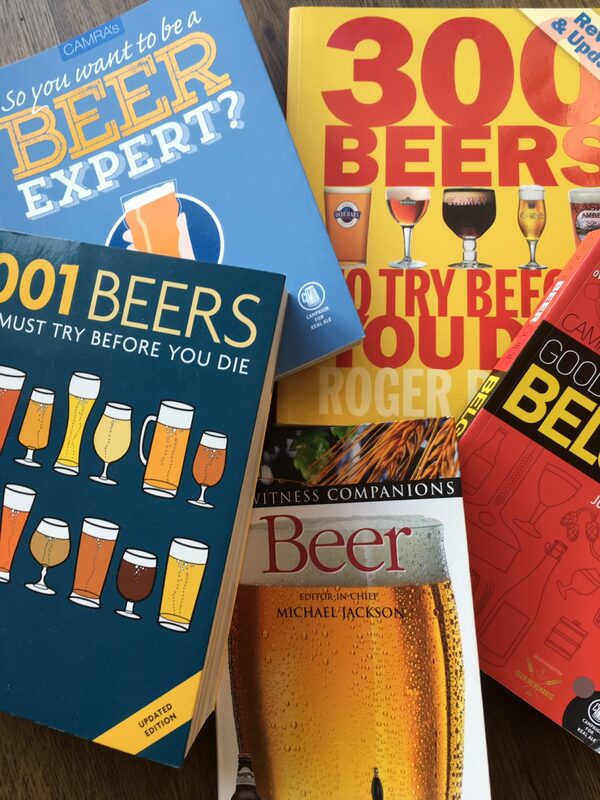 Three of the tasting notes are from published beer books (All of which I am in possession of in case of disputes) and one of them, well I might have exercised some creative licence. I’m not going to name the beers in the review but all of them are of beers that we stock currently. Your job is to guess which tasting note is mine. 1) It’s a soft, elegant, easy-drinking, bittersweet blend of sweet lemon, gentle herbs and perfumed hops that leaves a moreish, lipsmackingly tangy finish. 2)Golden; Citrus resiny-hoppy aromas; hop-bitter-citrus and dry palate, with a spicy grapefruit and spritzer like finish. 3)An idiosyncratic, saison-esque pale ale, aromatically floral and earthy, bitterish and dry. 4)Rich and dark with a thick creamy head the full bodied nature of the beer is surprising for the strength. Sweetness is present but balanced by the hop bitterness and a roasted note on the finish. As an added dimension to the competition the winner will be able to choose between two prizes: Either the old faithful of a Hop Stop glass or a mystery can, hmm have I wrapped up the latest Cloudwater release or perhaps I paid a visit to the off-licence for a can of Carling? Only time will tell. The usual T and C’s apply, one entry per person and the judge’s (in other words my) decision is final. Last week when talking about the Lion purchase of Magic Rock I mentioned how Lion had purchased two New Zealand craft breweries, one of them being Panhead Custom Ales from just outside Wellington. Rumours had been floating around for a while that Panhead were opening a tap room in London and more information has come to light. The bar will be in the heart of the Bermondsey beer mile at 93 Druid St. No opening date has been set yet but I did read that late April was the aim. I think a trip to London for a taste of home is in the pipeline. Just a quick note about our Easter Hours. Our hours will be as normal with the exception of Good Friday where we will open early at 10am and close at 5pm. Don’t worry, I will put a reminder in next weeks email. This week has not only seen the arrival of new beer from Cloudwater, Collective Arts, Half Acre and Lervig but two new breweries: Amundsen from Norway and Funk Estate from New Zealand. Instead of picking a trio of these though I am going to highlight three beers that slipped onto the shelves in the last couple of weeks and deserve a mention. These Welsh brewers are developing quite a name for themselves thanks to their hop forward beers and Every Piece Matters just adds to their reputation. Pouring with an orange glow there is immediate notes of ripe mango and this is what you taste as well. Massive, massive, mango, mango at the point of ripeness where it is seemingly only seconds from tipping into over ripe. One for all you ‘joose’ heads out there. We love Salopian and we know that many of you do too. On cask, keg, bottle or can they are consistently one of our best sellers thanks to their tasty, well made beers. Trust me, I am not lying, I don’t need to be tested, Polygraph is without a doubt no exception. Jet black with a thick tan head and lacings that follow the beer down the glass it certainly looks the part. It tastes it too, thick and creamy with deep roasted notes and a lingering bitterness this is another Salopian hit. The Nova Anglia is now pouring so don’t miss out on trying the latest release from Westerham. On cask from tomorrow will be…you know what, I haven’t decided yet. Hawkshead Iti 3.5% (cask) NZ hopped light bitter.